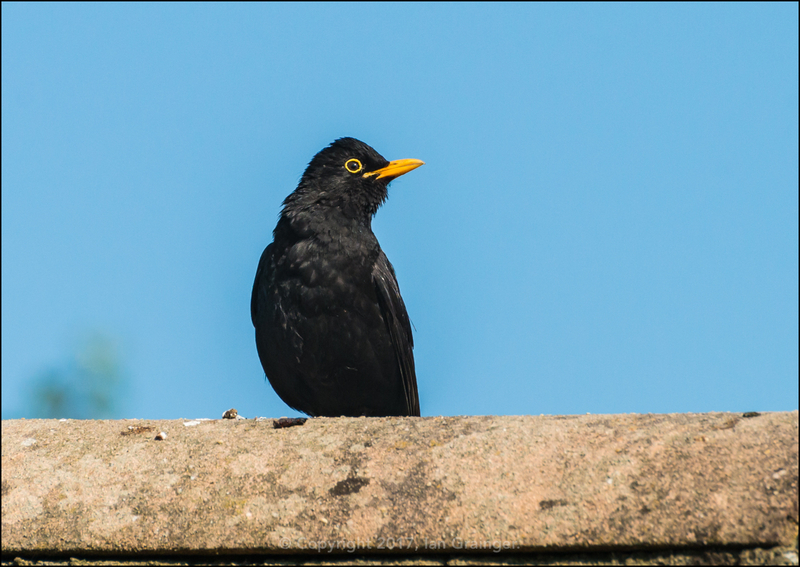 So the UK has been in the grips of a heatwave for the last week, and temperatures have steadily rose upwards until they topped 30C in the South of England. 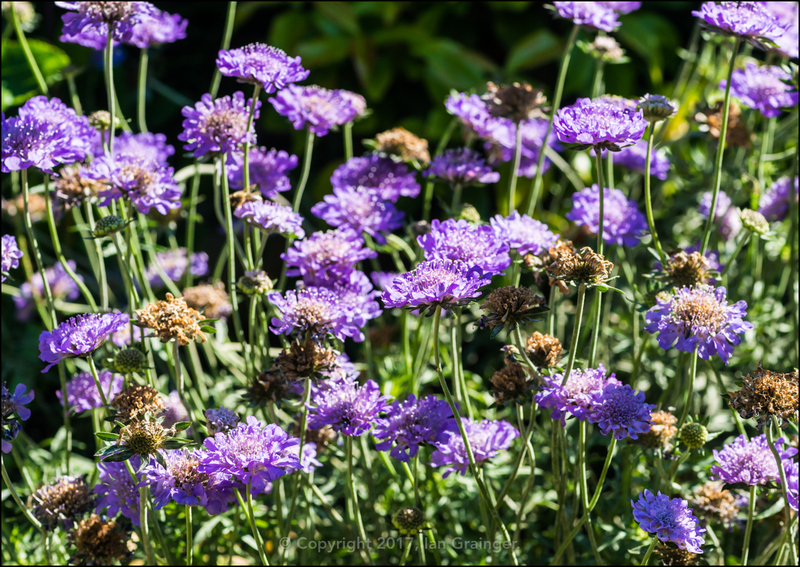 Hence, lots of blue skies, lots of sunshine, and lots of unbearably hot days. 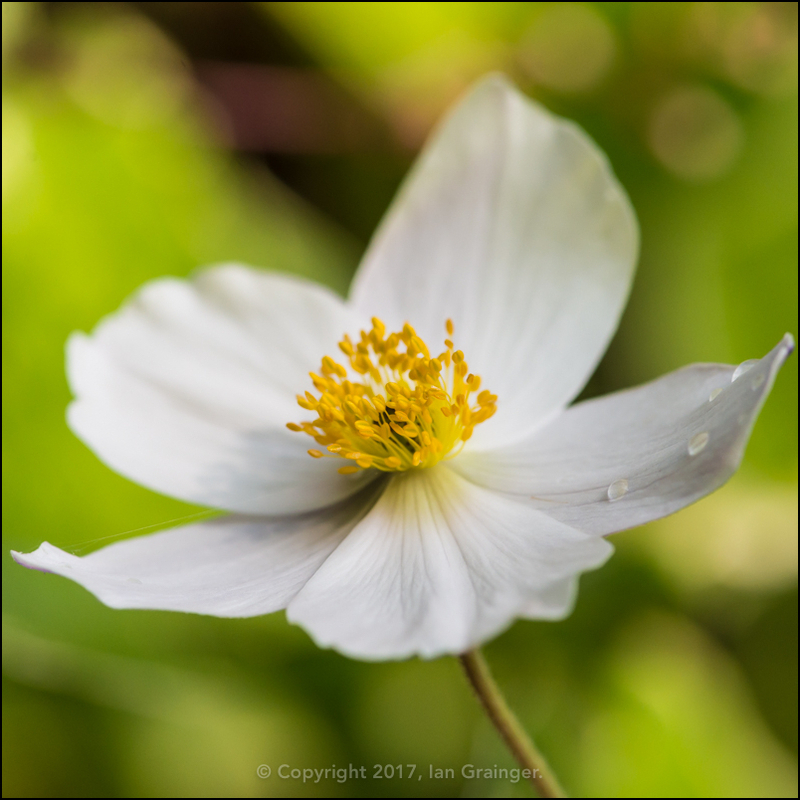 This meant taking it easy in the sun, and led to quite a few images being taken from a nice shady bench in dad's garden this week, watching the birds as they flew overhead. 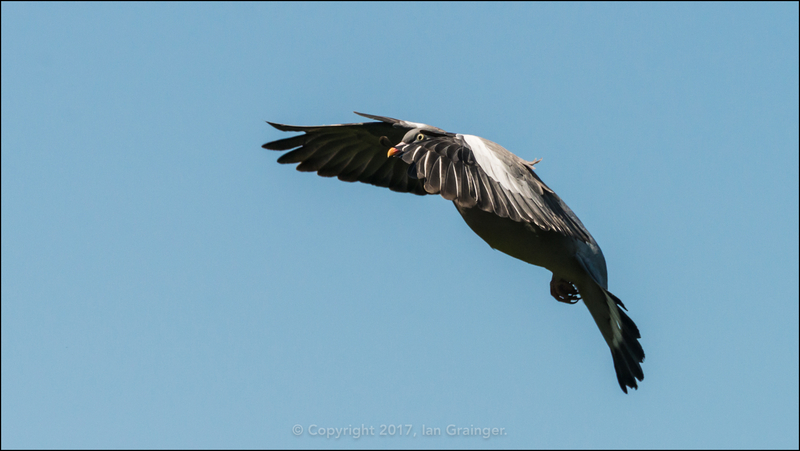 I loved how I caught this Woodpigeon's (Columba palumbus) head just poking out behind the beating wing. 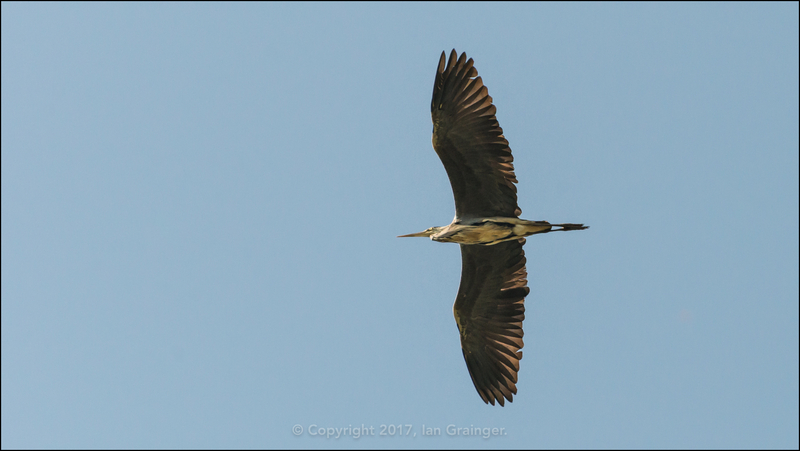 I was very pleased to encounter this Grey Heron (Ardea cinerea) flying overhead, making its way to the nearest water source for a spot of early morning fishing I suspect. 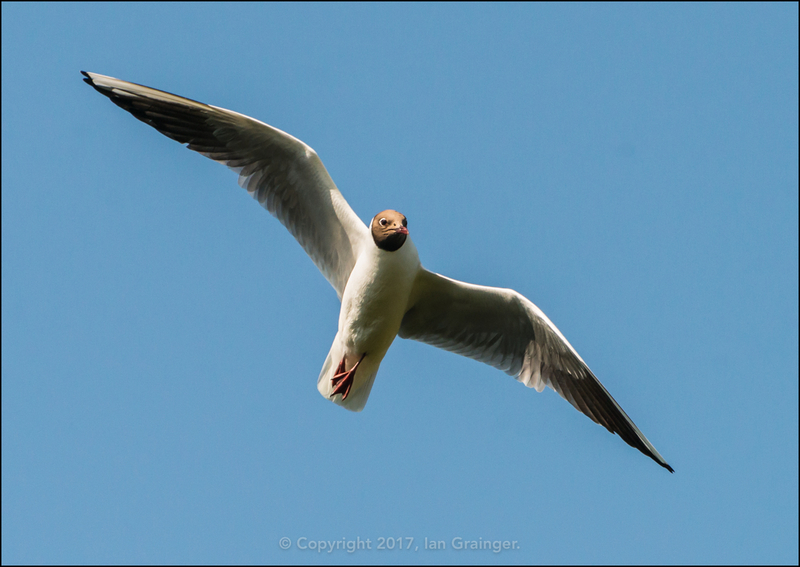 The Black Headed Gulls (Chroicocephalus ridibundus) seemed more content to circle the lawn, waiting for an opportune moment to swoop down and grab some bread. 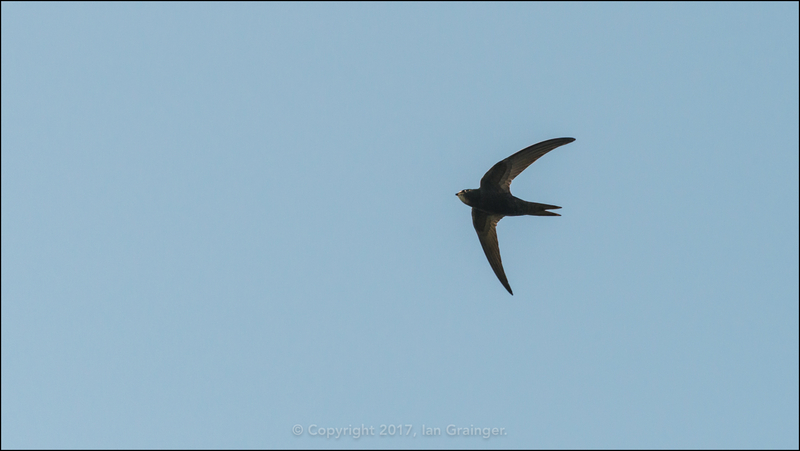 Just like last week, the Swifts (Apus apus) were flying low enough to grab some half decent photographs, although you have to zoom in close to see that they're more than just silhouettes. ...only to be chased away by this female. 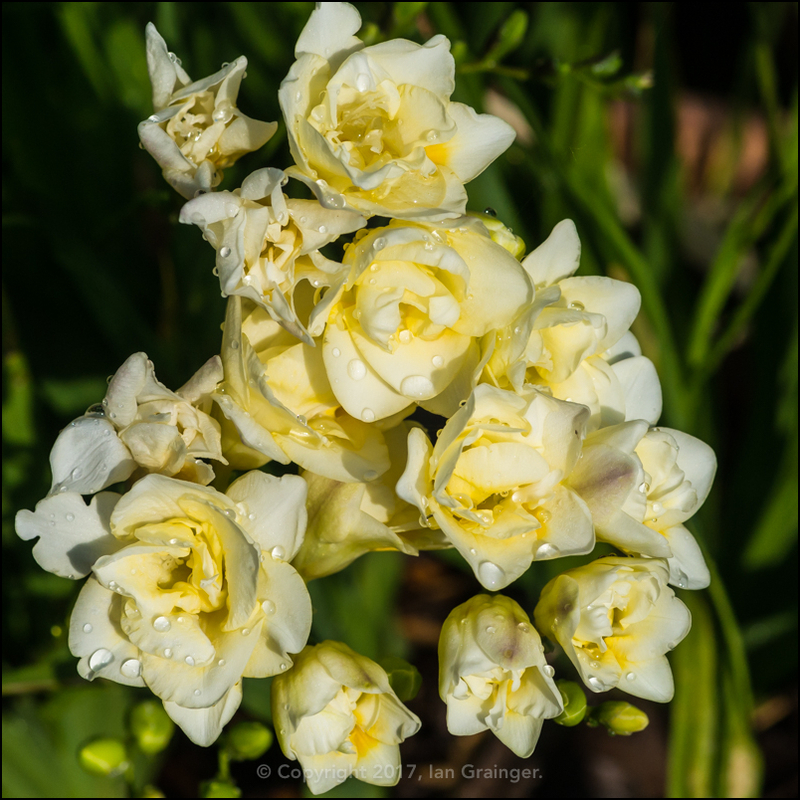 Eventually, my shady spot became sunny, so I moved around the garden looking for new flowers. 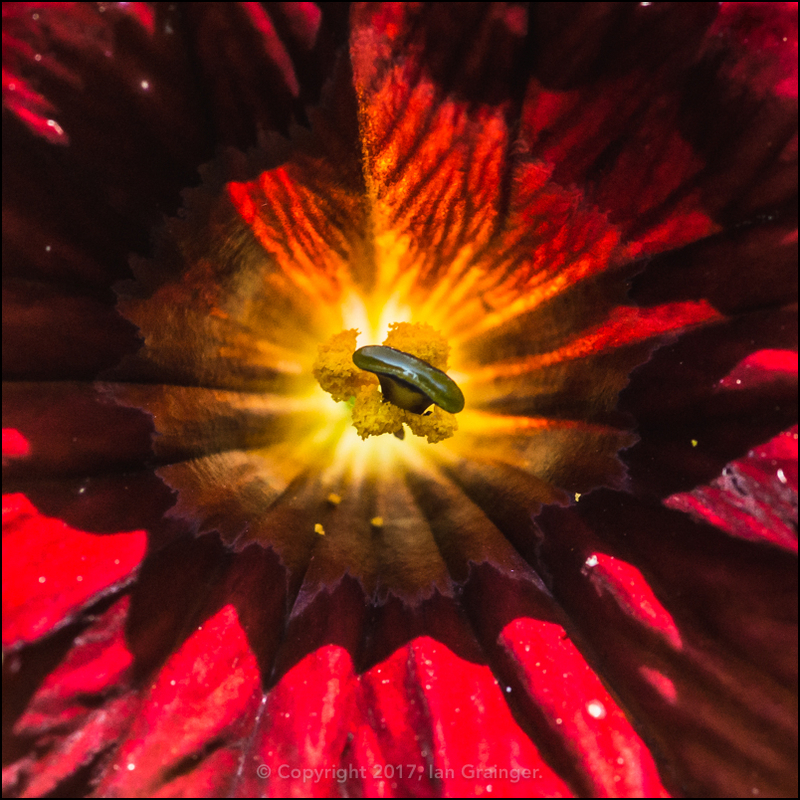 Firstly I came across this red Salpiglossis bloom, which glowed from the inside as the sun passed through it. 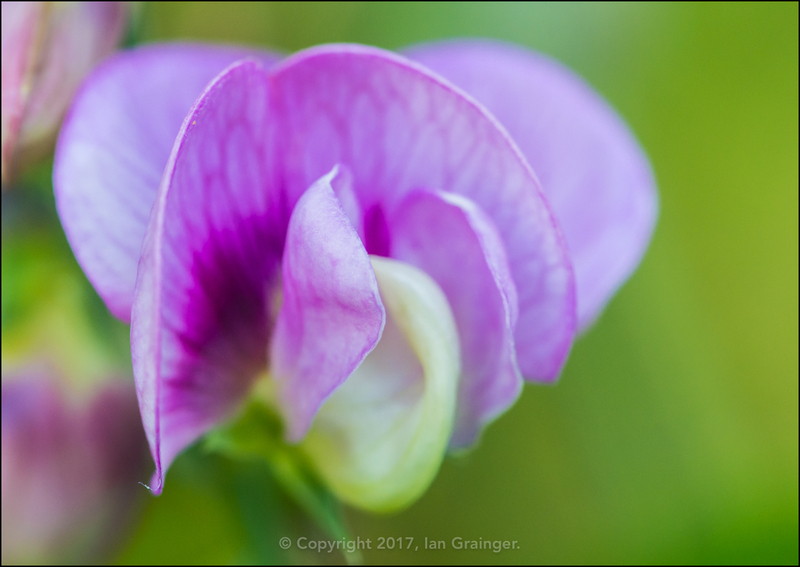 Then I encountered my first Sweet Pea (Lathyrus odoratus) bloom of the year. 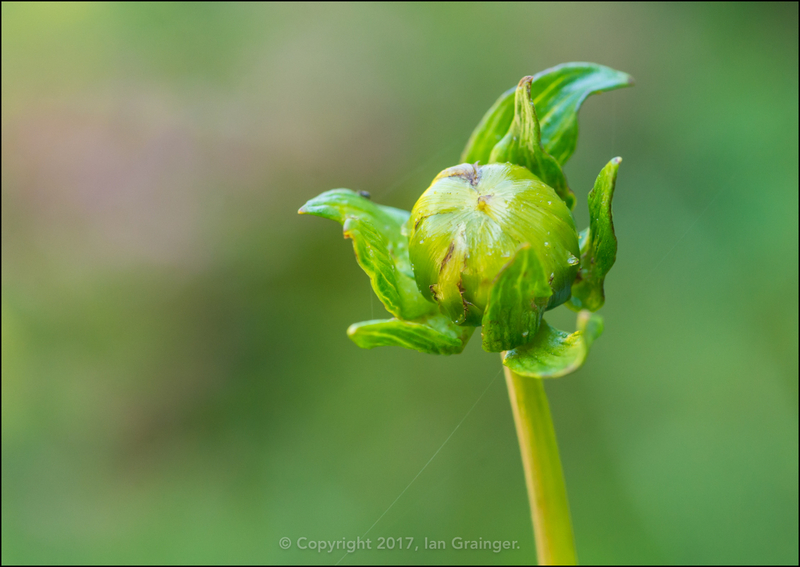 The annoying thing was that I also came across a Dahlia flower bud. Why annoying? Well, I'd split my Dahlias this year, and given half of them to dad. 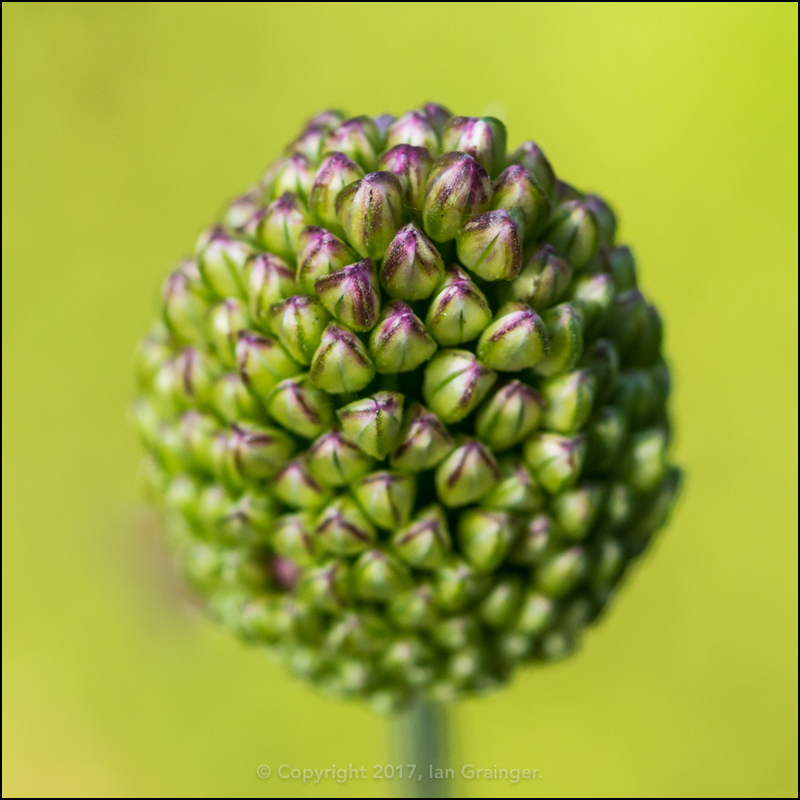 While he had buds on almost half of his plants, I didn't have any! 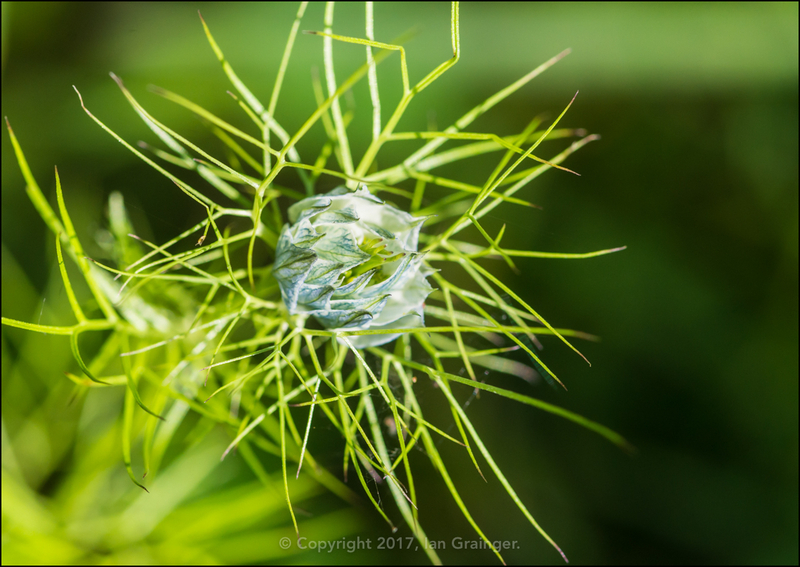 I looked in on the Love in the Mist (Nigella), but it was still a week or so away from flowering. I'd just about given up looking for insects when I found this photogenic looking Damselfly (Odonata). 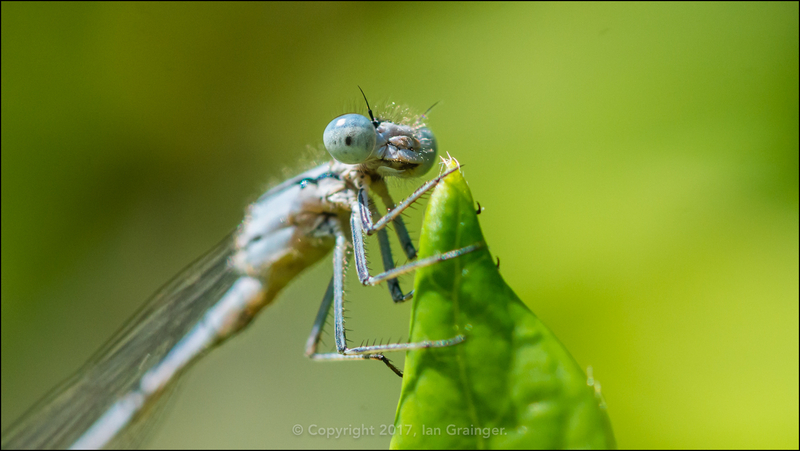 With it being so hot, I'd expected to see lots of insect activity, but other than lots of Flies (Diptera), this was the only subject that caught my eye, but at least she smiled for the camera. 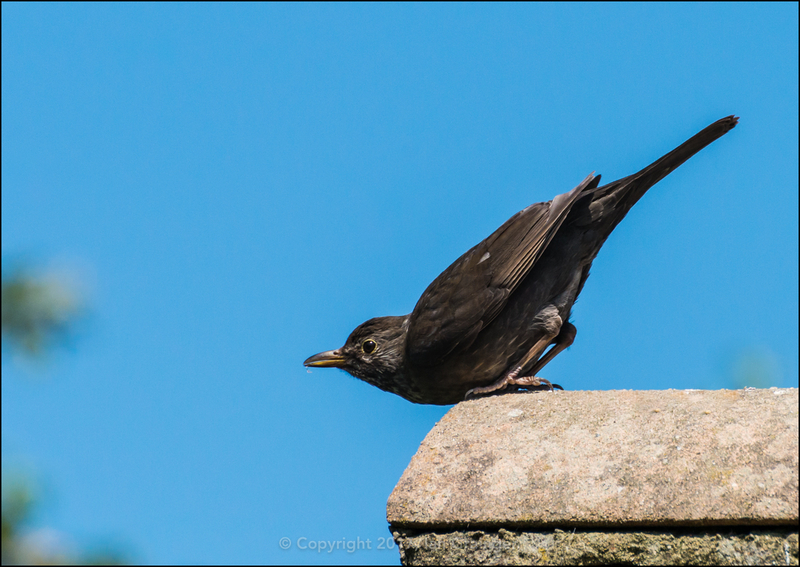 It was a similar story over in my own garden this week too. 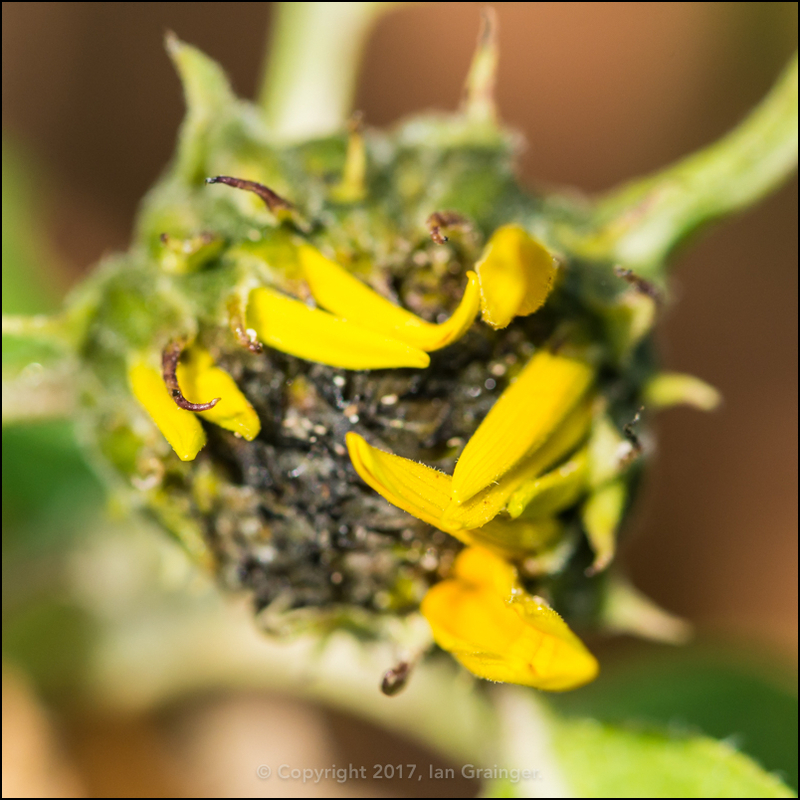 The hot weather seemed to be even too hot for the insect population. 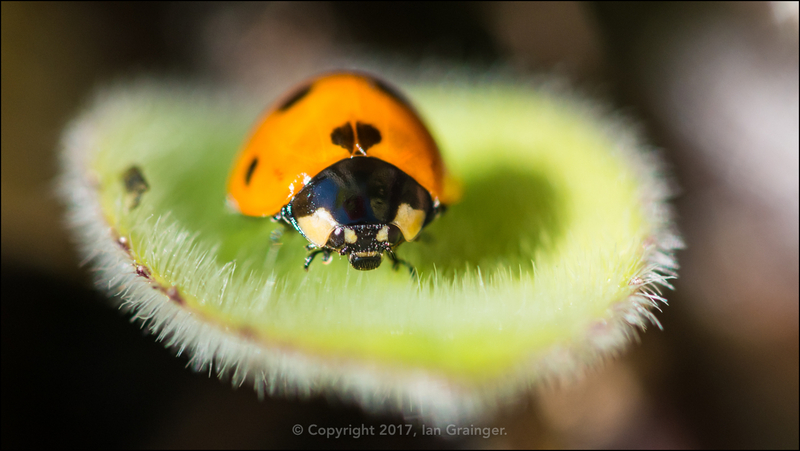 This Seven Spotted Ladybird (Coccinella septempunctata) was one of only a handful of creatures I could find. 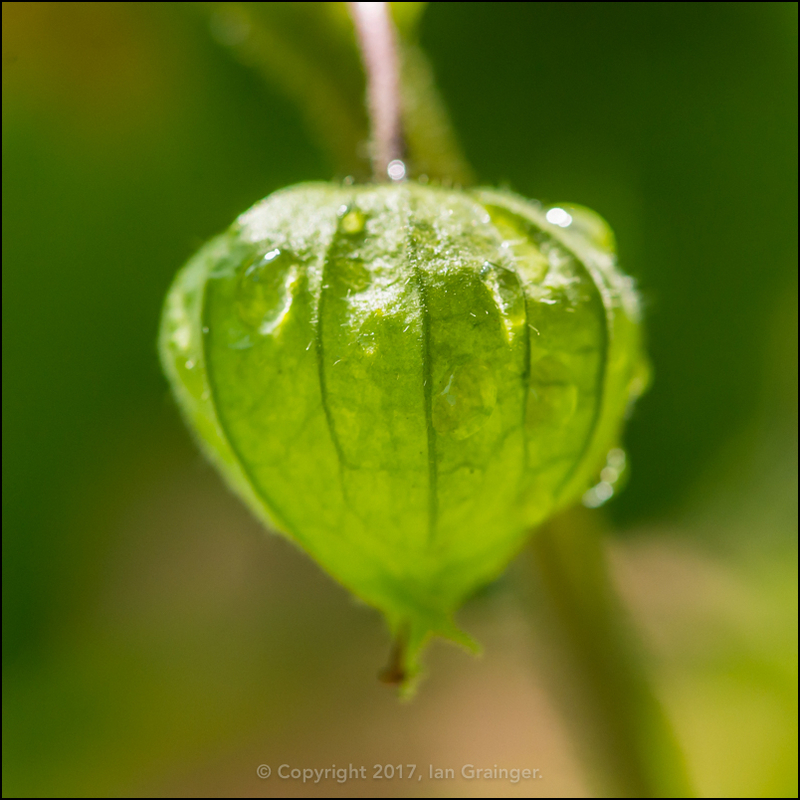 Maybe it was more the heat getting to me, and my interest in tracking down these wee beasties than their lack of presence in the garden! 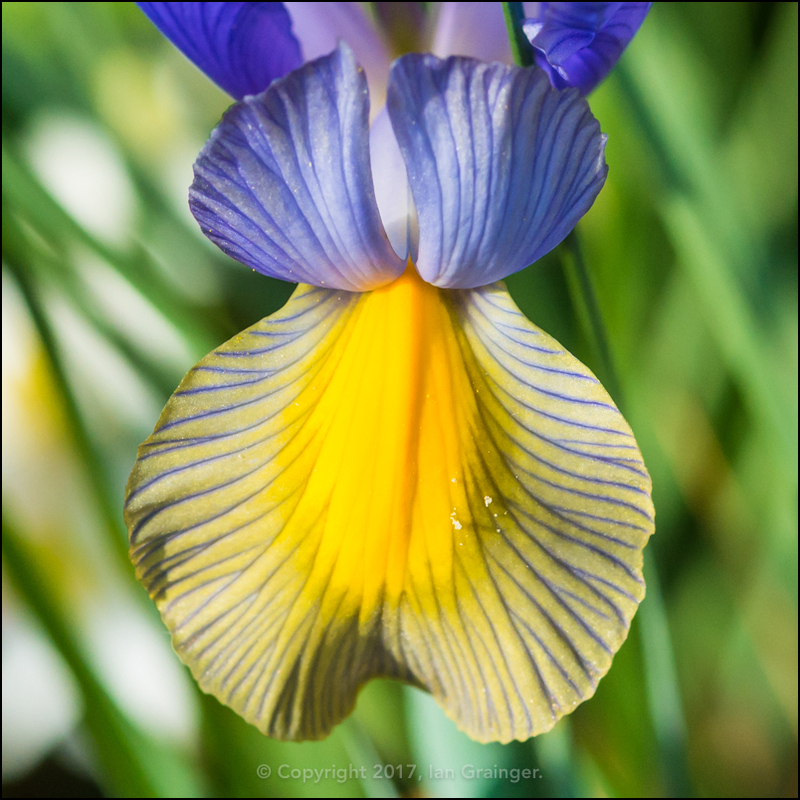 However, there were lots of new flowers opening up now that we'd slipped into summertime. 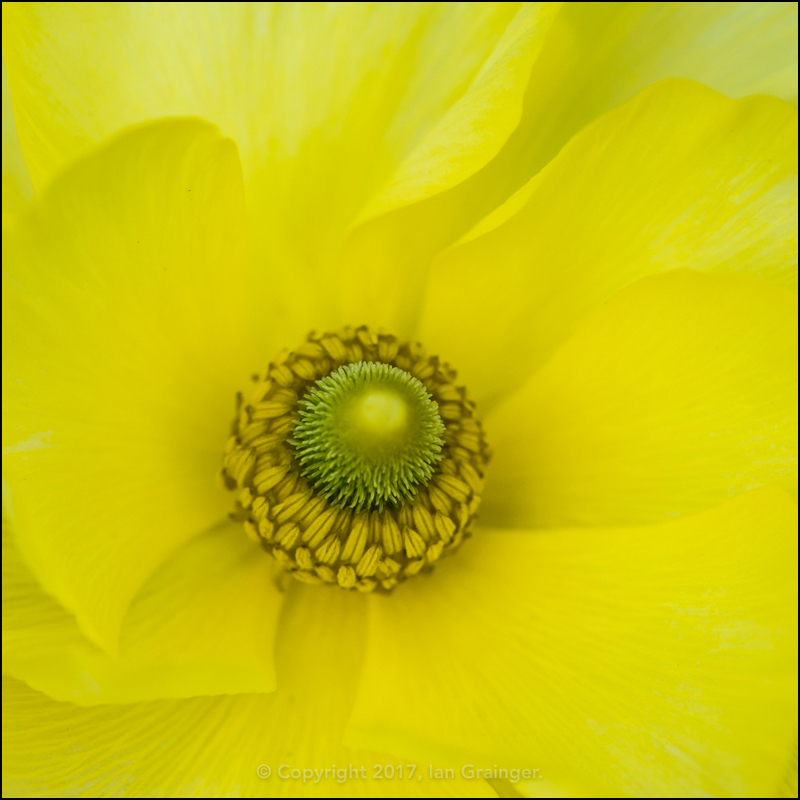 This bright yellow Persian Buttercup (Ranunculus) was one of my favourites of the week. 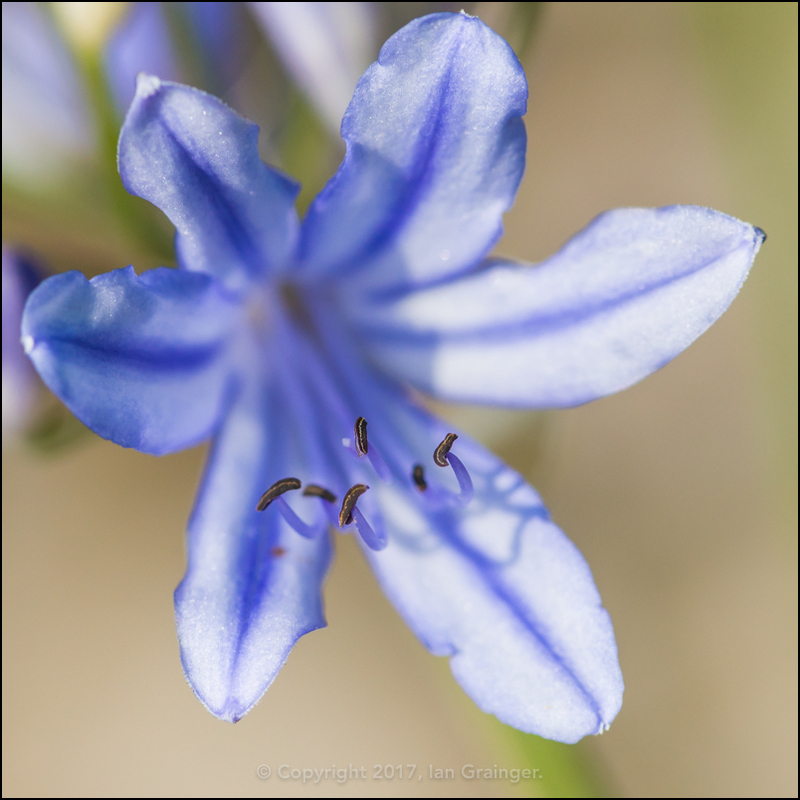 ...which was then closely followed by this African Lily (Agapanthus). 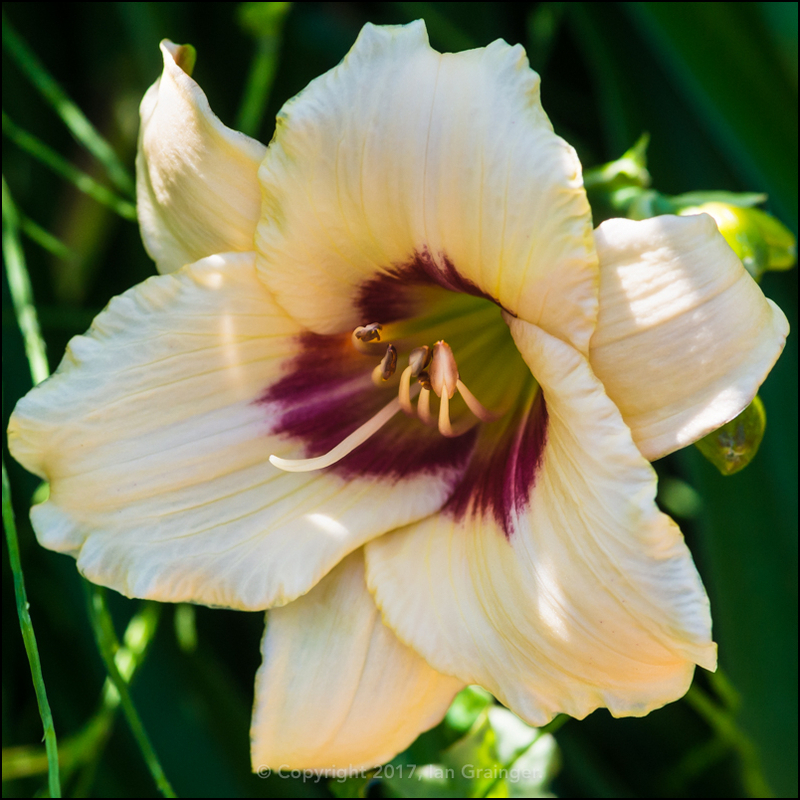 I also had lots of Daylilies (Hemerocallis) appearing, although, annoyingly, I'd forgotten the variety of this one. 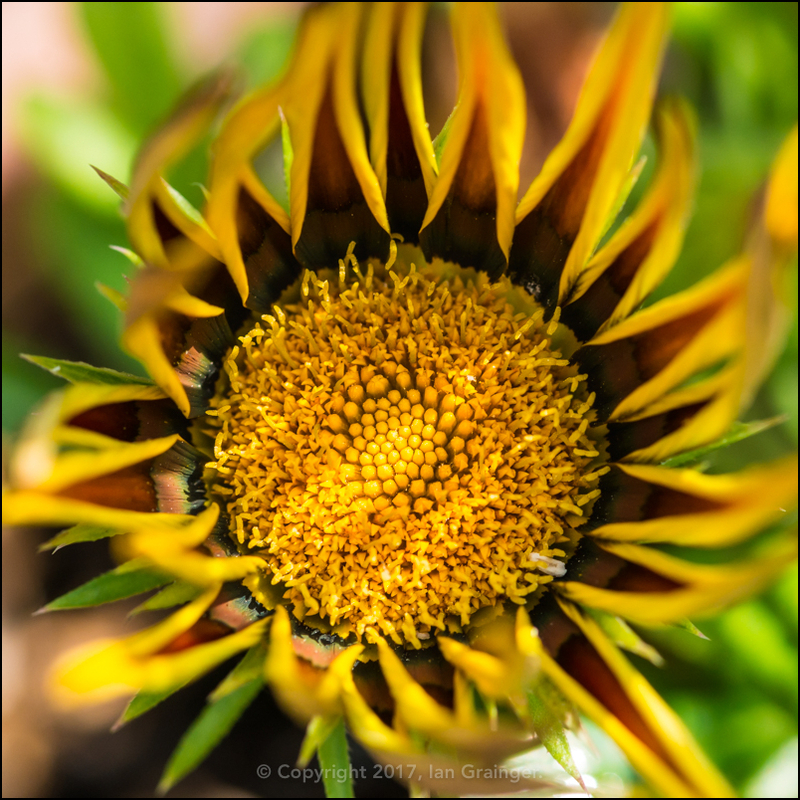 ...and the Gazania 'Tiger Stripes' were close on their heals, if not a little ahead of them. 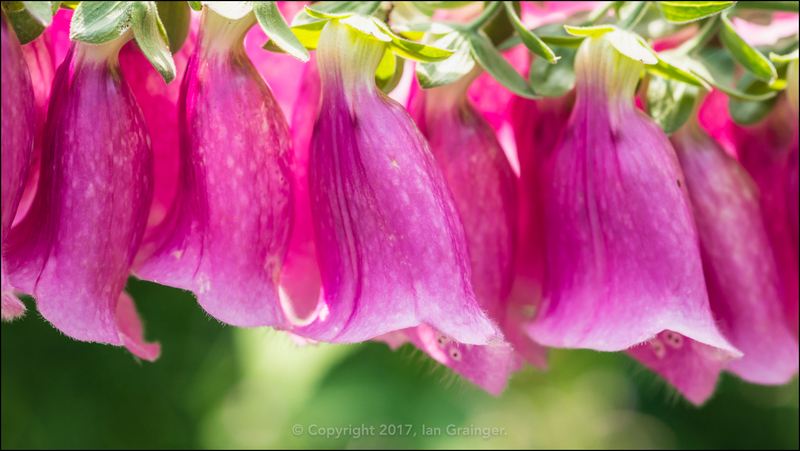 ...but after the wind of a couple of weeks ago had all but destroyed my Foxgloves (Digitalis), some of them were bouncing back, albeit in a horizontal, rather than vertical direction! 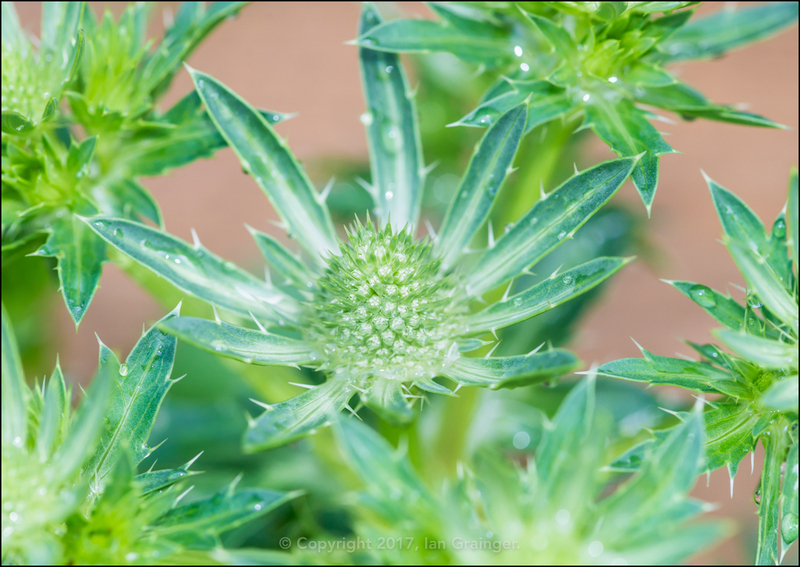 ...and my smallest Sea Holly (Eryngium maritimum) surprised me by all of a sudden developing half a dozen or more flower spikes, despite being only about six inches tall. 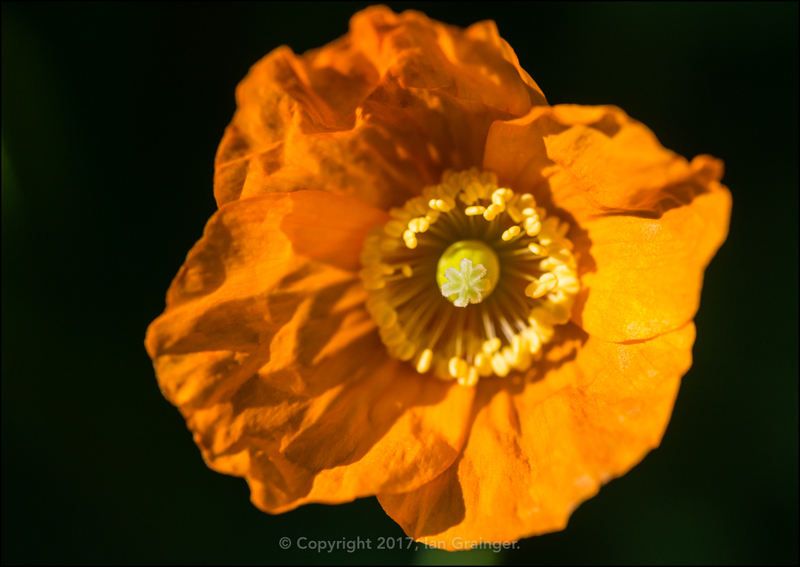 ...and the Welsh Poppies (Meconopsis cambrica) were back again for another round of flowers. 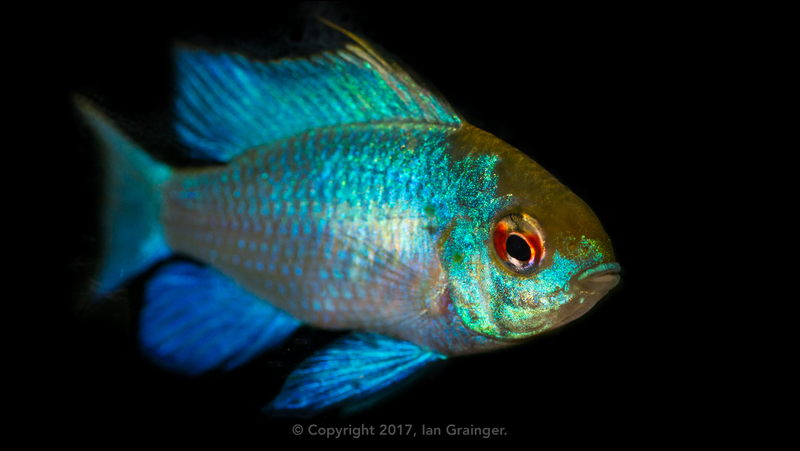 Finally, I've had another attempt at photographing some of my fishy friends! This week I've been trying to focus on Eric. Yes, I've named him. Eric is an Electric Blue Ram (Mikrogeophagus ramirezi) which is a variant of a German Blue Ram that has been bred for its striking colour. Despite him originally being quite aggressive towards his tank mates, he seems to have mellowed a little since asserting his dominance, and has become quite a likeable character.